When thinking of a tagline for my blog I played around with a bunch and eventually came up with Vegging at the Shore: Cooking with and for Kids. 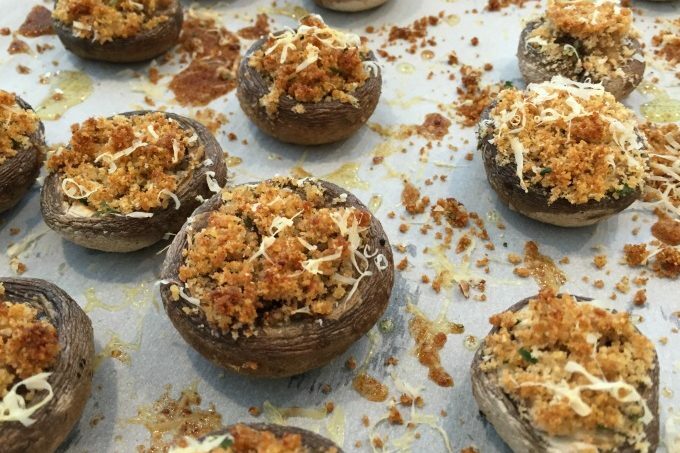 While this blog obviously focuses on food, I also want to highlight the importance of bringing kids into the kitchen to participate in the cooking process. 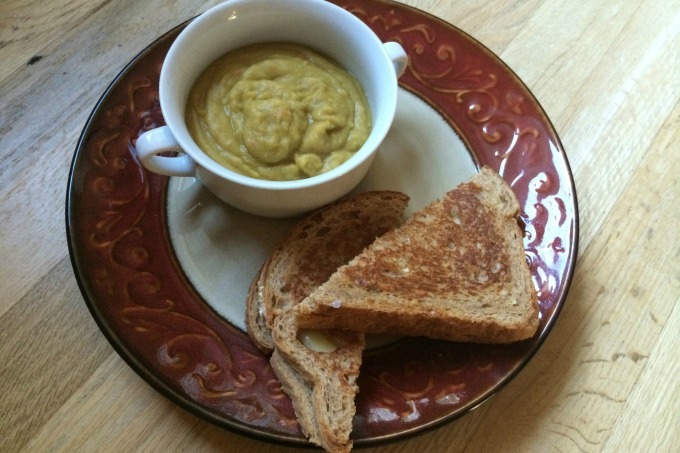 From an early age I have encouraged my kids to cook with me. It helps them understand where the food on our table comes from. I have found that it makes them more willing to try foods. 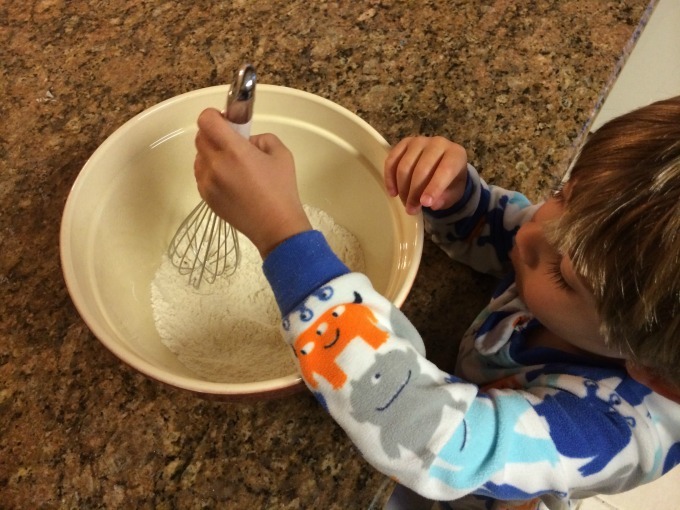 We share many special moments in the kitchen and there are tons of lessons to be taught there. The kitchen can feel like a dangerous place for children with hot ovens and sharp knives, but it’s an amazing place to spend time together. They have their own rolling pins which are perfect for small hands. They can use them to roll out pie dough, cookie dough or pizza dough. 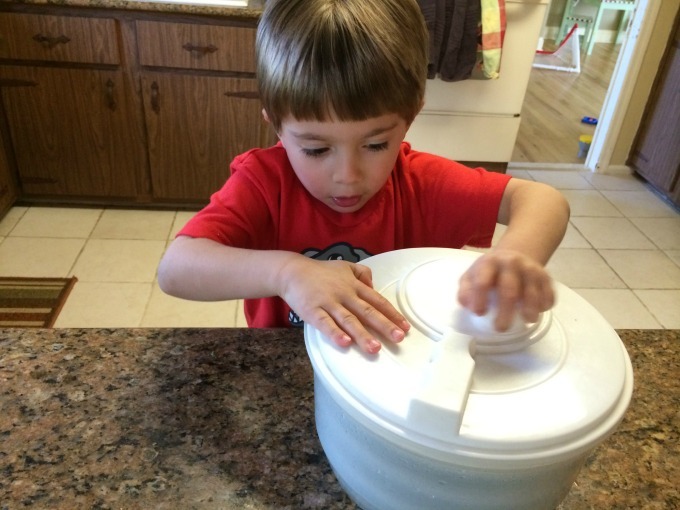 Using the salad spinner is one of my son’s favorite activities in the kitchen. He loves to see how much water has accumulated in the bottom and then starts chomping on raw kale which is a beautiful sight. Mixing ingredients using a whisk is always fun. 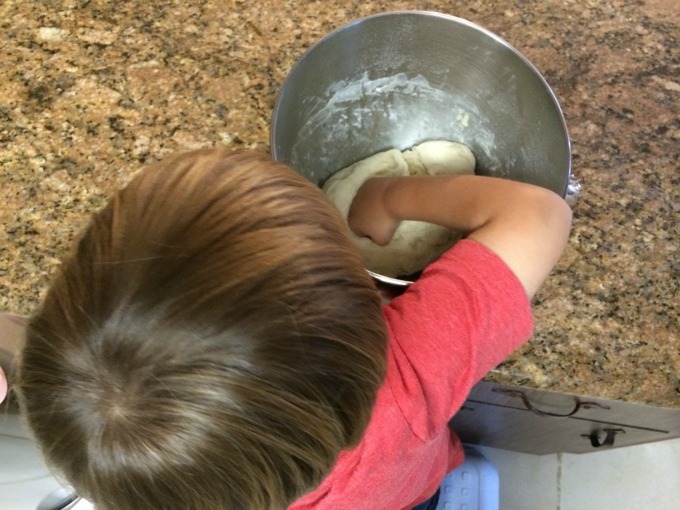 My son loves to help me knead dough which comes in handy for our weekly pizza night. The Cuisinart Smart Stick is great when you don’t want to clean a big processor. My son loves to hold the button and watch the mixture come together. In this picture we were making salad dressing. Sometimes you need the big food processor, like for making hummus. My daughter likes pressing the on or pulse button. 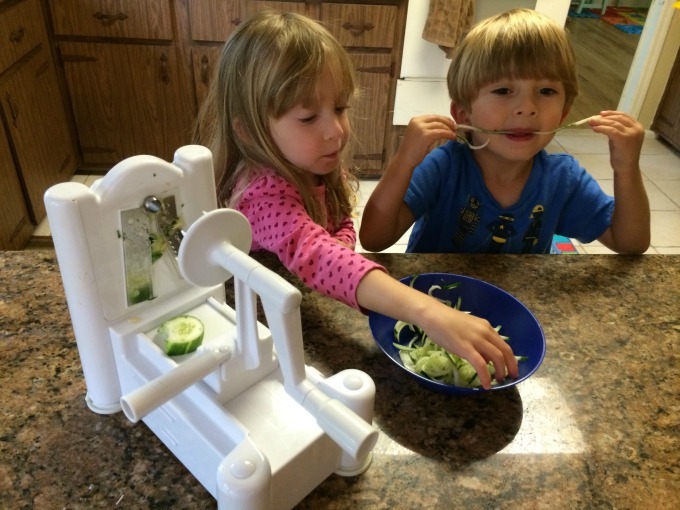 The spiralizer can make any vegetable appealing to the younger crowd. Here we made cucumber noodles which were intended for a salad but never made it to the salad bowl. Popsicles are a huge favorite in my house. My kids like to help fill the molds. 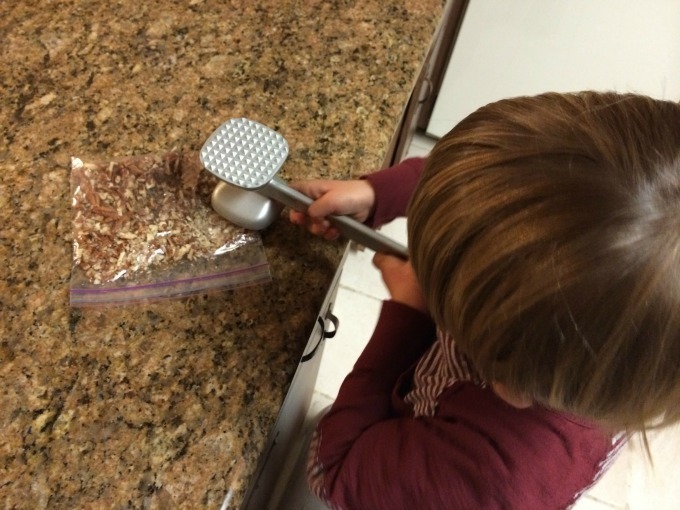 I don’t advise giving all kids a heavy mallet to pound things, but in a supervised environment using a meat tenderizer to crush pecans or crackers can be very fun to a four year-old. Making smoothies in the blender. They can add the ingredients as well as press the on/off button. Using a brush to “paint” oil on bread for paninis or egg wash on baked goods. 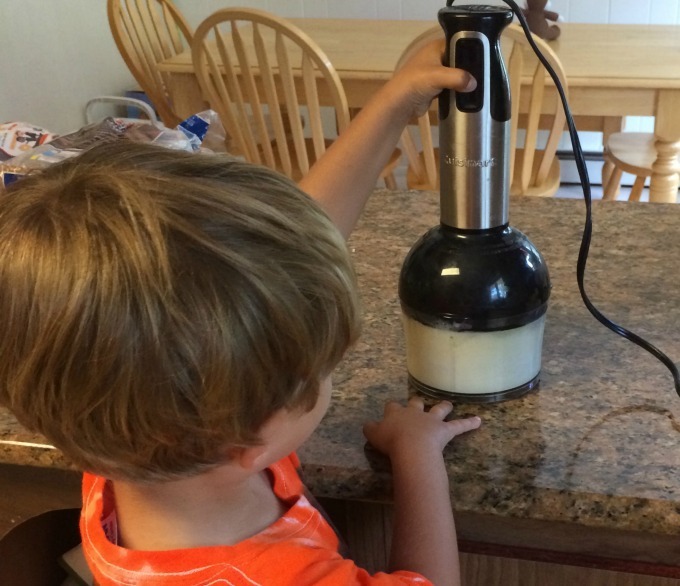 Making juice by adding fruits and vegetables to a juicer and pressing the on/off button. Placing wrappers in muffin tins. Making mini pizzas and adding toppings. Using a masher for potatoes or beans. Using tongs to move food that has been cooled down. Making shapes using cookie cutters. Deciding what to make with fruit you gather from fruit-picking (strawberries, apples, blueberries, etc). 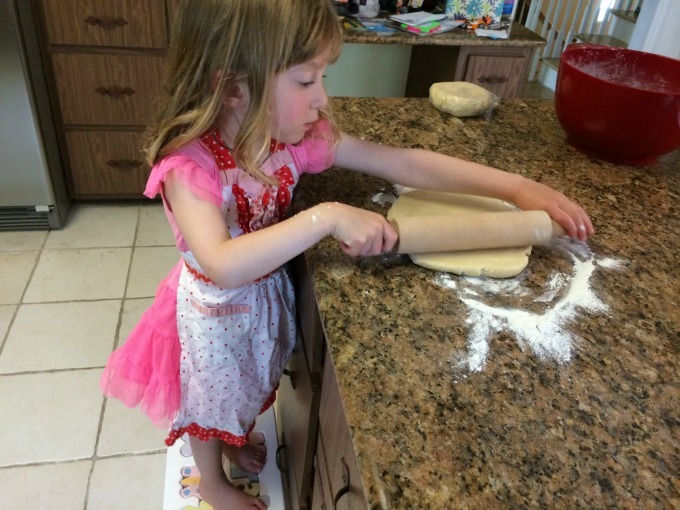 There are so many ways to involve kids in the kitchen. 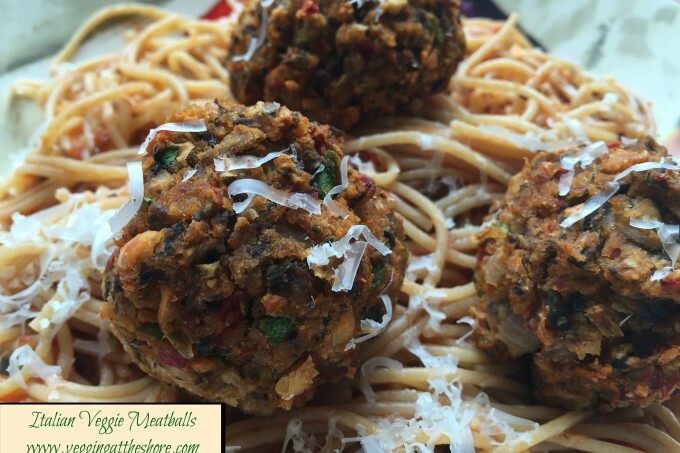 My kids love helping me and I’m convinced that it has made them more adventurous eaters. 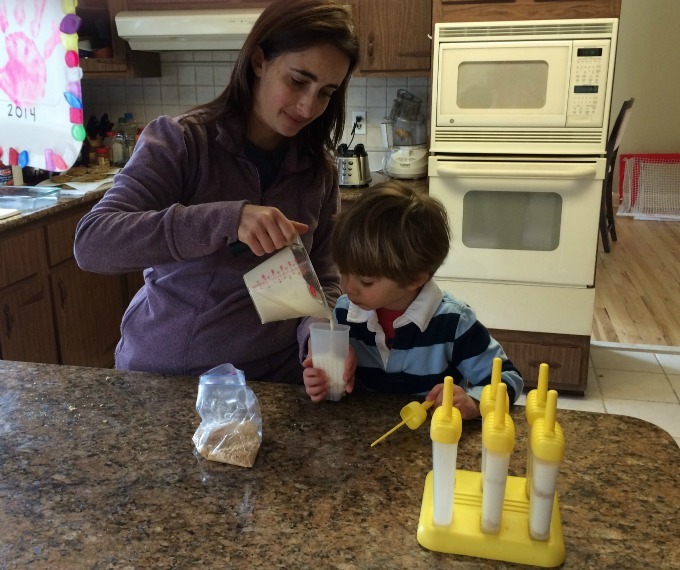 I would love to hear how your kids help in the kitchen! 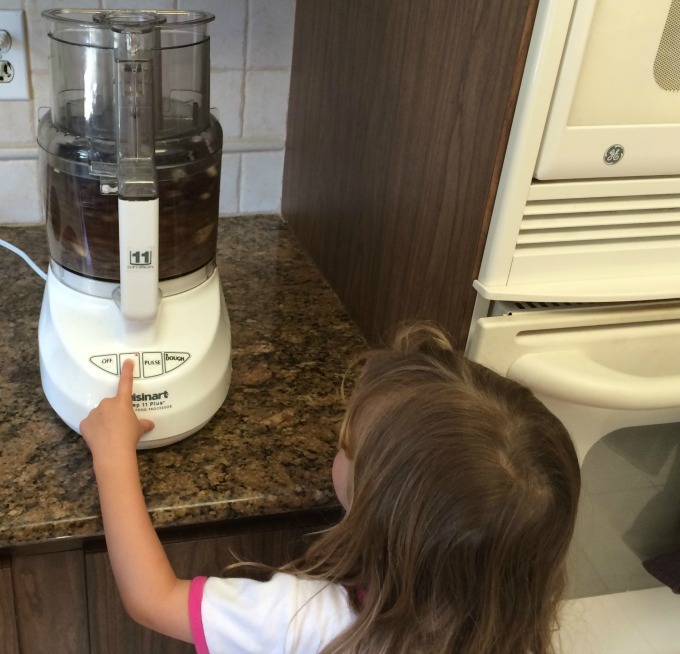 Love that you're constantly getting your kids involved in the kitchen! I'm sure that makes eating healthy so much more fun for them! Thanks Joanne. We had a lot of feeding issues with my twins so having them help cook has nurtured a healthy relationship with food. My youngest is the chef in the family right now. He makes main meals and the best chocolate chip cookies! Now we need to work on the clean-as-you-go concept! learning early really helps them when they are older to cook and know good foods to eat like when they go to college or get their first apartment. I love to bake cookies with my kids when they were younger. Love these tips for cooking with kids...there is a couple that I have not implemented that I would love to try! I love sharing the kitchen with my kids. Sometimes the mess drives me nuts, but I know it's so important for them to be a part of it. Great tips! Glad your kids are interested in cooking! What great little helpers!